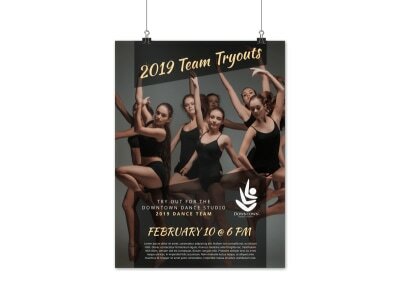 Dance team tryouts have begun for the dancers in your town and everyone is interested in taking their love of dancing to the next level! 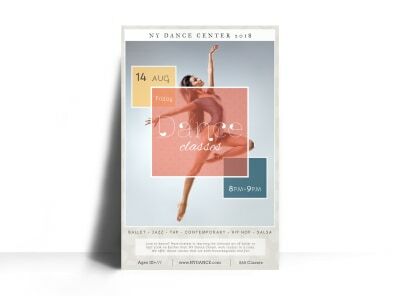 What could be more fun than joining a team and getting to work alongside fellow dancers who encourage, challenge, and learn together?! 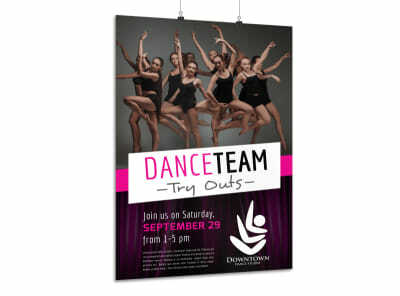 This poster will showcase what your dance team is about and what makes it unique! 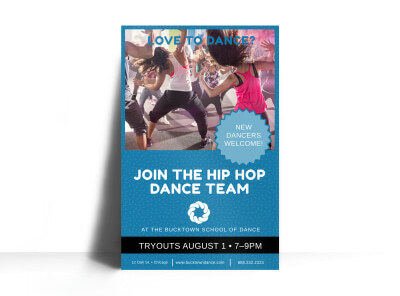 Let them know you want their dancing skills to join in the fun of entertaining and competing as a team. 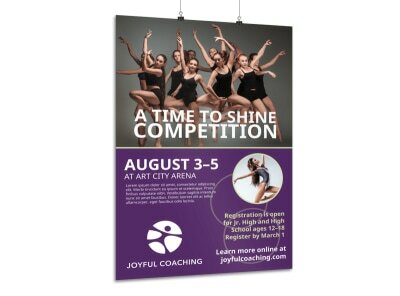 Grab their attention and encourage them to be a part of something more! 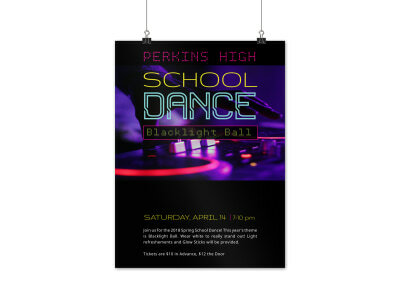 Do you think you can dance? 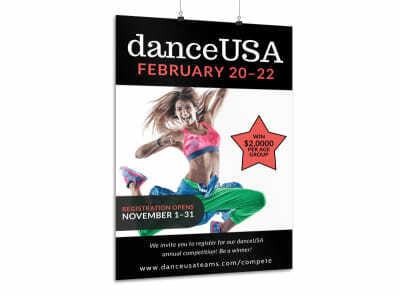 The search for the best dancer has begun! 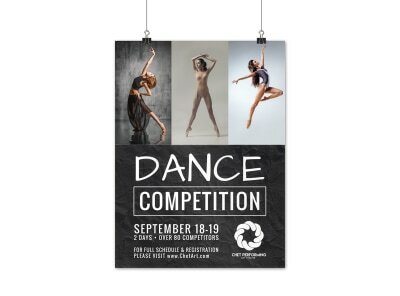 Talented dancers around will be intrigued by this poster promoting your dance competition! 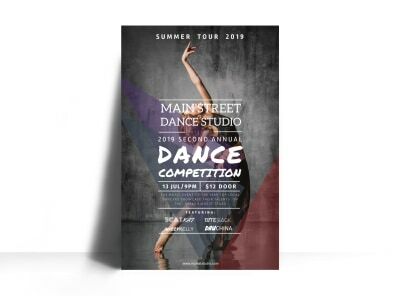 They’ll be drawn in to know when and where, if they are eligible and what the prizes for the top winners are; all while wondering if they have what it takes to be the best! 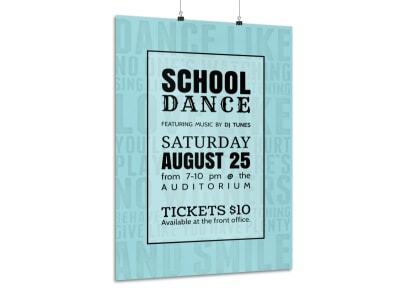 Your funky, retro poster will not only interest dancers participating in your competition, but also those wanting to attend the show and get in on the music and dance action! 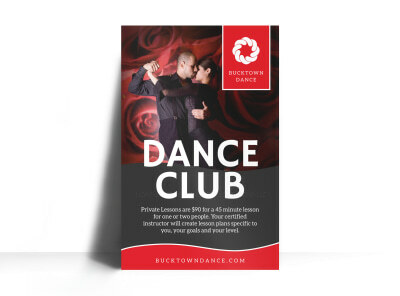 What makes your dance studio and its classes stand out from the rest in your community? 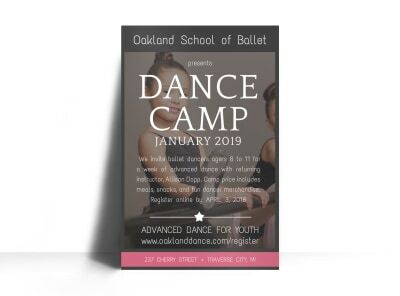 Are you the studio of choice for parents encouraging their children to learn to dance for the first time or the student interested in beginning to explore the art of dance? 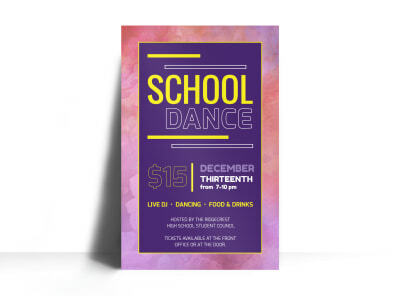 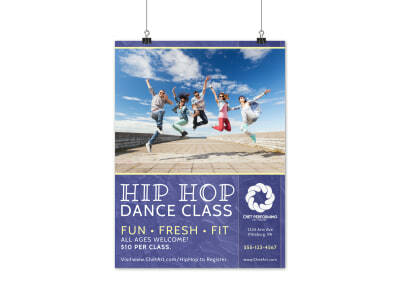 Grab their attention with this bright, colorful poster giving them a first impression of what your studio offers! 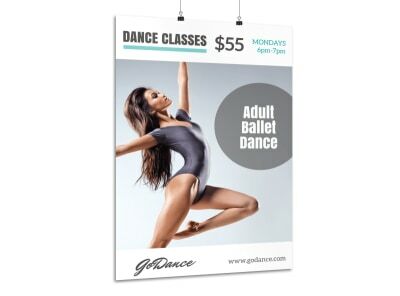 Highlight the style of dance, instruction and classes you provide. 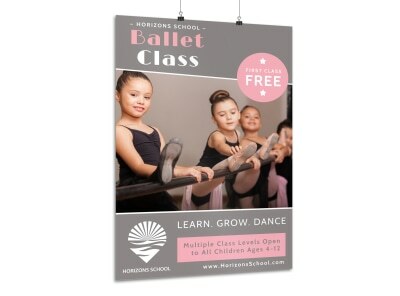 They will be intrigued to check out what your classes are like and to see what makes your dance studio unique and set apart from the others! 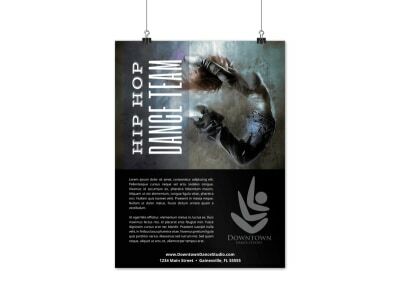 Hip Hop, modern, ballet, jazz and tap! 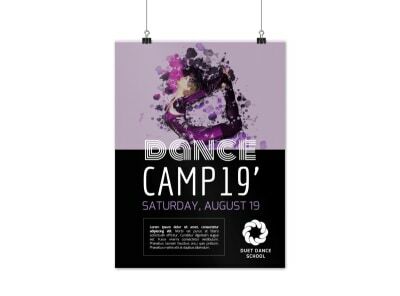 Grab the attention of dancers in your community with this standout poster promoting your upcoming dance camp and all that it has to offer! 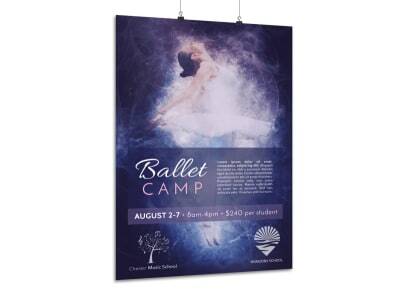 Highlight the unique things your dance studio is presenting through its camp; workshops, presenters, and a variety of different styles of dance. 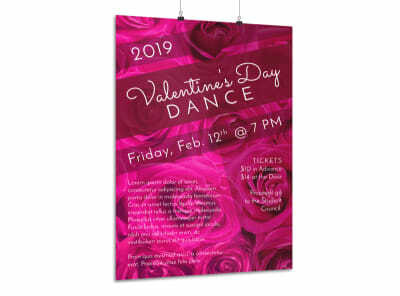 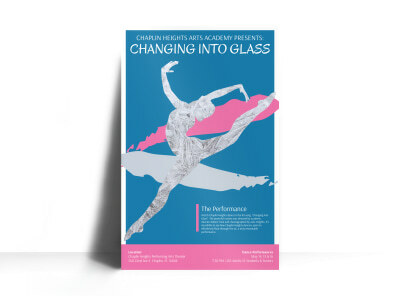 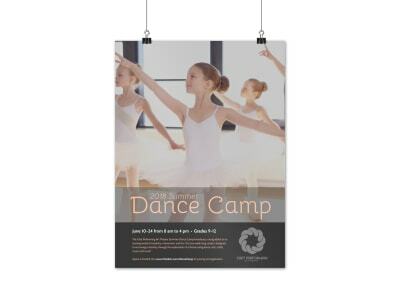 A well-designed poster will draw in interest and registrations for your dance camp event, and be a great marketing tool for your dance studio! 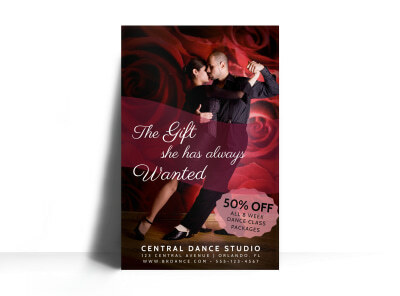 Once they get a taste of what you have to offer they’ll be sure to want more!